7113 Lantzville Rd., Lantzville, BC. The Daoist Meditation session is open to all; no experience in Qigong or Tai Chi is required. 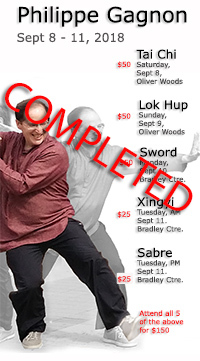 Please Note: In order to attend Qigong, Levels 3 and 4, all previous levels and segments thereof, must have been completed and documented. Participants must attend all the sessions (including the evening session) or they will not fulfill the requirement for the next level. No late arrivals and early departures except for special permission. Incomplete attendance will not fulfill requirement for the next level. After you have decided which workshop or combination of workshops you wish to attend, please follow the registration procedures below. STEP 2. Download your registration form, print and complete it. STEP 3. 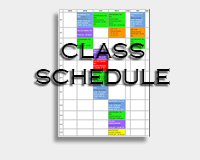 For the registration to be considered completed, fees must be received by Friday, March 4, 2016. Eva will explain the health benefits of meditation and lead a practice meditation on chairs, using some Qigong exercises to facilitate the sitting. Those who do not wish to sit on chairs or directly on the floor may bring blankets or Yoga mats. In level 3 students will learn Hua Tu’s Five Animal Forms - the tiger form for tendon-strengthening, the bear for bone strengthening, the deer for preserving generative energy, the monkey for enhancing agility, and the bird for improving sense of balance. In addition, students will learn four more postures of Yiquan Standing Qigong as well as begin to receive instruction in the Immortals’ Guide to Self-Massage and Breath Regulation and the Red Phoenix Calisthenics. 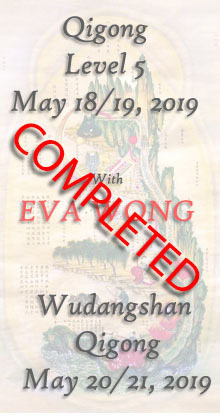 Eva Wong is a 19th generation lineage carrier of the Primordial Limitless Gate School of Daoism. The student of Sun Di, she is also a 3rd generation lineage descendant of Wang Xiangzhai. She is an independent scholar who has written and translated many books on Daoism and related topics, including Nourishing The Essence of Life: The Outer, Inner, and Secret Teachings of Taoism and A Master Course in Feng Shui (both from Shambhala Publications). She has designed a comprehensive program involving nine levels of qigong training that she started teaching in Ottawa in 2008. Budget accomodations below all appear clean and good for a sleep-over. The first five are located within 4-block stretch along busy Terminal Avenue (close to the Ramada Inn and the Travelodge); an extra 10 min. drive to Qi Gong venue.